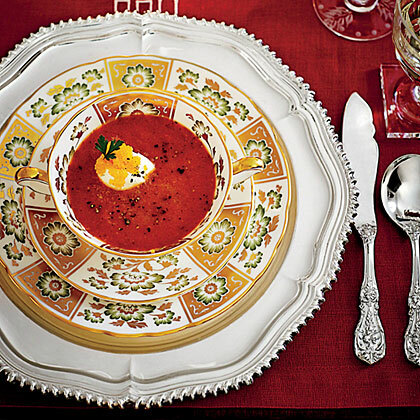 Alex learned this creamy soup from his former business partner Mary Boyle Hataway. Strong coffee gives it superior depth. 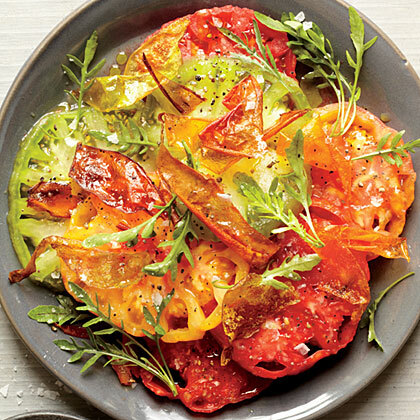 Ample beefsteak tomatoes are the ones you want to eat uncooked: They are fleshy, big, juicy, and so delicious. 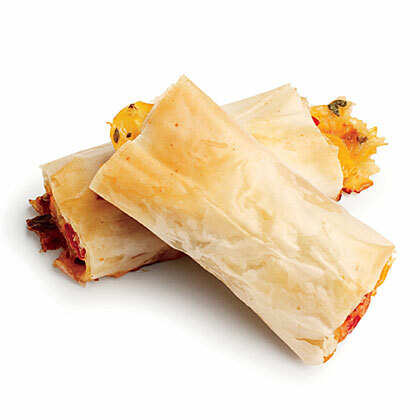 Saving the skins and frying them is a genius touch, creating a beautiful garnish with bacony qualities. 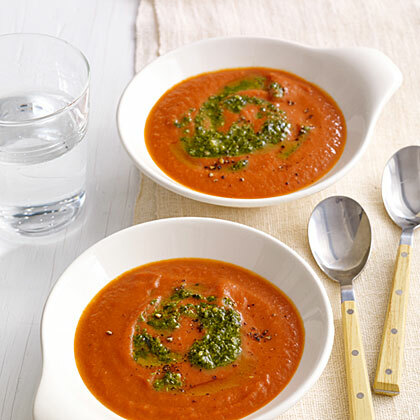 A dab of flavorful tomato paste packs a punch in tasty Tomato and White Bean Soup. 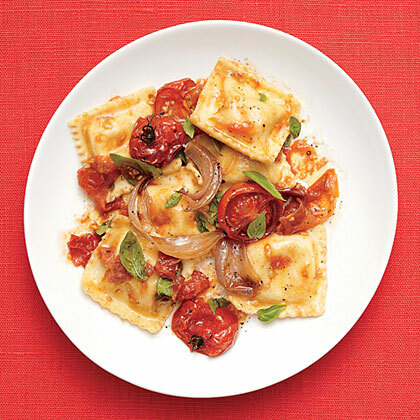 Ready-made ravioli and simple ingredients make this dinner of Tomato Ravioli so easy. 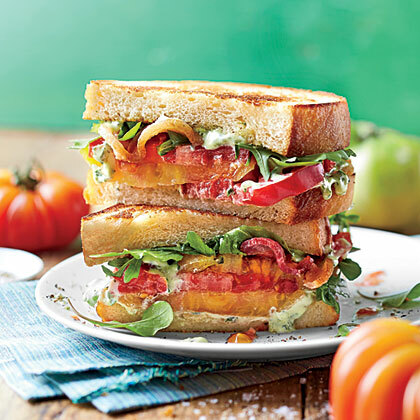 A fancy version of the BLT, Over-the-Top Tomato Sandwich features seasonal ingredients including fresh tomatoes and basil. 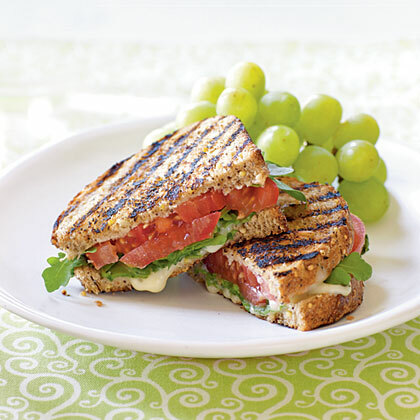 Pair Over-the-Top Tomato Sandwich with a simple green salad for a complete meal. 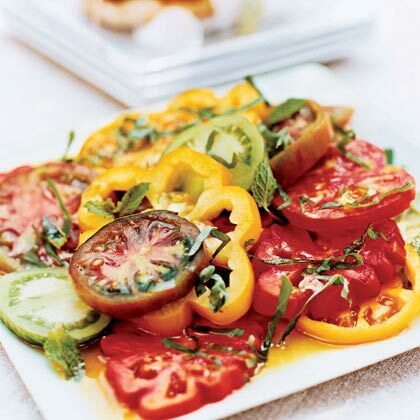 Choose a variety of tomato colors to make the salad more beautiful without any additional work. This version of the classic tomato and mozzarella salad uses cherry tomatoes which are tossed with small balls of mozzarella, basil and olive oil. 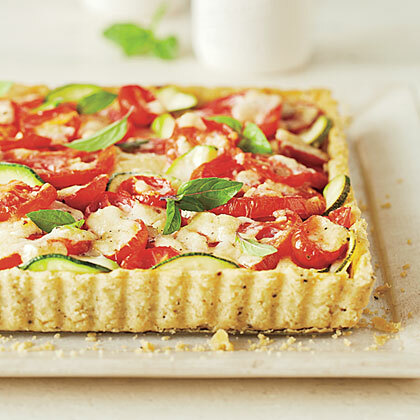 Tomato-Zucchini Tart is packed with nutrient-rich tomatoes and fresh basil for a punch of flavor. 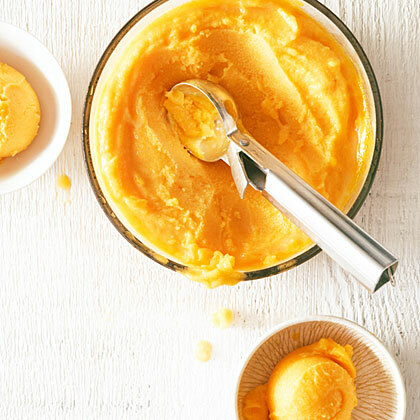 Refreshing and sweet with a hint of earthiness, this sorbet shows off tomatoes' fruity side. 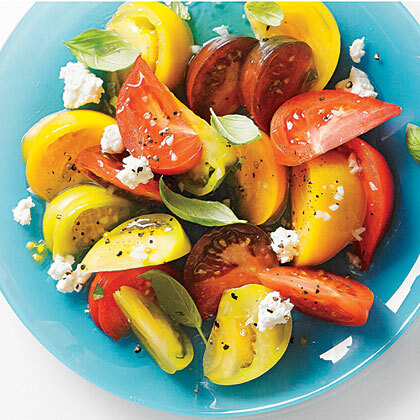 Heirloom cherry tomatoes are highlighted in this fresh caprese tomato salad. 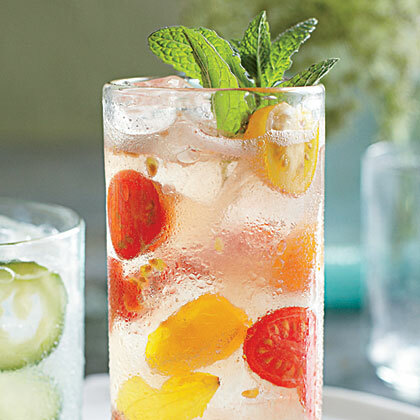 It's the perfect summer side. 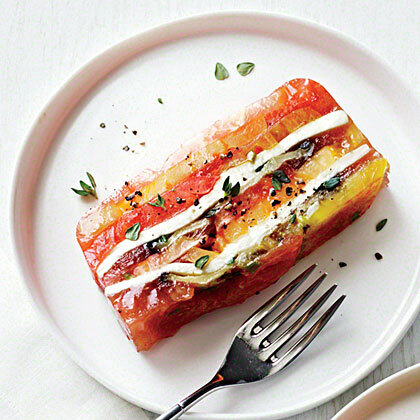 This marinated heirloom tomato salad is a delicious and colorful summertime side dish. 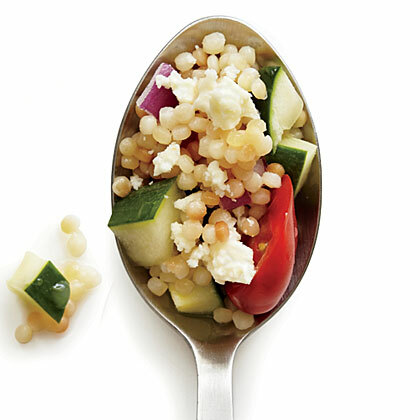 Mediterranean flavors shine in this simple side dish of Tomato and Cucumber Couscous. 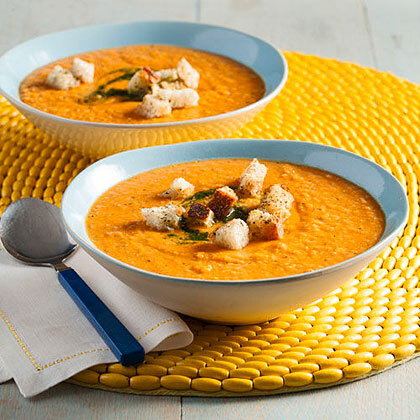 Linda Craig, 45, New Market, Tenn."This classic soup is so soothing, especially when paired with a grilled cheese sandwich."